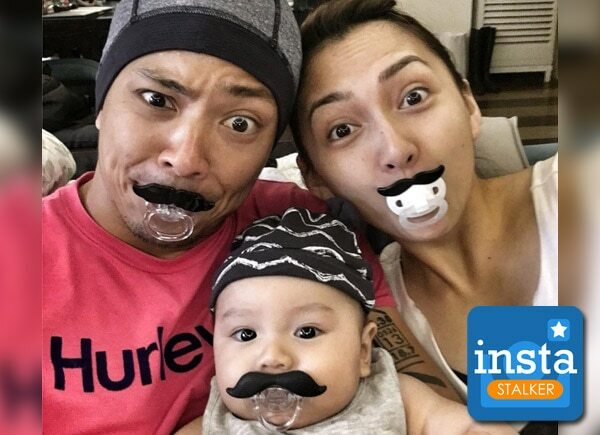 Drew Arellano and Iya Villana may be first-time parents, but it seems that they are already well-adjusted to their new roles. Their little family has earned the admiration of parents on social media. Iya and Drew have also been displaying relentless enthusiasm as parents, which inspires new parents like them to make the most out of their journey. Check out the family's precious moments together below. Momma bear and baby bear ?? To all moms and moms-to-be out there, y'all gotta go visit http://bit.ly/IyaGoBear! GoBear is the most unbiased, transparent, and easy-to-use metasearch engine for financial products! I know, I know… it sounds intimidating. I'm not a financial-savy person myself but trust me, you'll learn to love and appreciate all its features! Perfect for future-proofing! Can't wait to see what they have in store in the coming months for me, Daddy Drew, and Primo! ?? 2016 was surely full of nail-biters! Here's to more exciting adventures for everyone! Happy new year!